Lock in a great price for The Haven and Spa - Adults Only – rated 8.9 by recent guests! Loved our stay in the Haven Spa Hotel. The staff, especially Caesar, were so friendly, helpful and nice to talk to. They accommodated every wish we had. 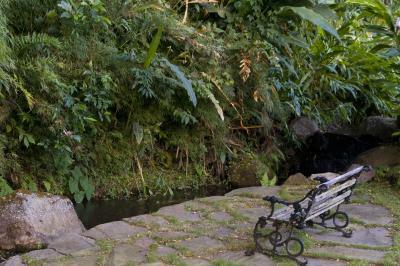 The Jacuzzi and sauna were perfect after a day hiking up the volcano Baru. 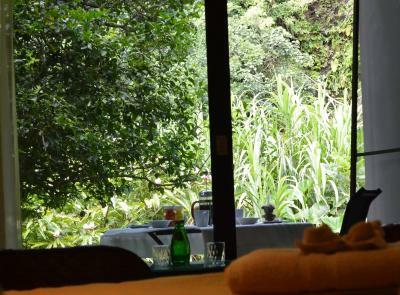 Yoga is also offered in nice and airy room surrounded by the hotel's garden. My boyfriend also used the hotel's gym everyday and was very happy. Our room's private terrace with a view on the beautiful garden with bamboo and a small stream were pure bliss and a wonderful setting for our breakfast. Bed is very comfortable and the bathroom is very spacious. The location is a bit off the main street with restaurants which meant a short walk every night for dinner, which we didn't mind and a taxi would only cost $2.5. Overall highly recommended. The staff was very helpful fixing a booking error through booking.com. We had an amazing room and the staff was kind and wonderful. Would recommend highly. The breakfast was a large grilled ham and cheese sandwich on a lovely whole grain bread served with fresh fruits (Papaya and Pineapple), yogurt, and cereal and milk. Delivered right your door at the time you request which is a very nice touch. The staff was very nice and friendly. The property has a lovely garden and a nice living room with books and tea. We like the most the massage at the spa! Everything!!! The staff was extremely kind and accommodating. 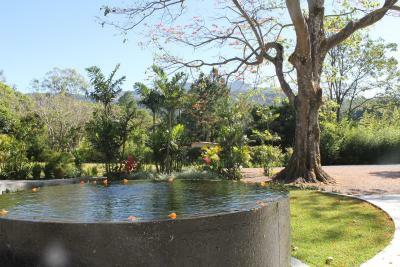 The property was extremely tranquil and relaxing. The staff is simply the best. Great location for people who enjoy walking into town. 12 minutes to Boquete Sandwich Shop (highly recommended) 13 minutes to Fish House or Sugar & Spice (highly recommended). If walking isn't your thing, front desk calls taxi, for $ 2 to drive into town. 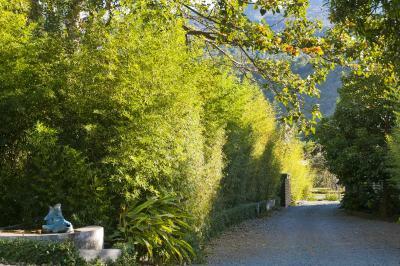 I love to set on private patio and listen to water in adjacent creek and have glass of wine. Some places have roosters crowing really close to property. Roosters are not a problem at Haven. 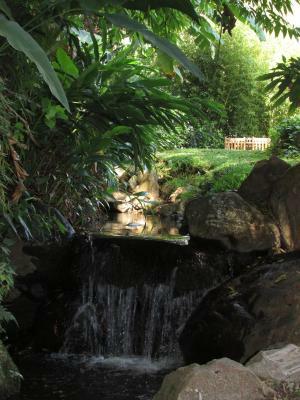 We enjoyed the tranquility of the location. 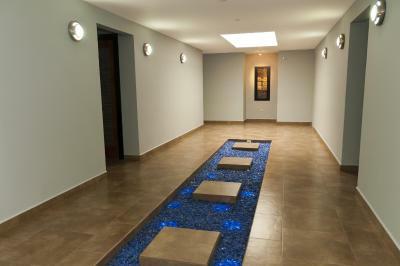 The spa was laid out very nicely with a central room where guests could wait for a treatment or just relax. Everyone was pleasant and helpful. The hotel has the real essence of a Spa! Nature and the facilites are perfect. Great hospitality! The staff were amazing and super friendly. The lodge itself was very nice, though the rooms were a bit bare. The Haven and Spa - Adults Only This rating is a reflection of how the property compares to the industry standard when it comes to price, facilities and services available. It's based on a self-evaluation by the property. Use this rating to help choose your stay! One of our best sellers in Boquete! 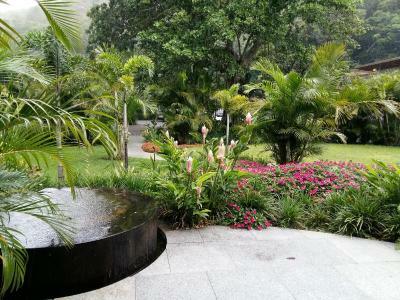 Set in a lush and tranquil garden location, this boutique hotel offers:- free Wi-Fi, a well-equipped gym, exercise pool, yoga studio as well as saunas & hot tub. 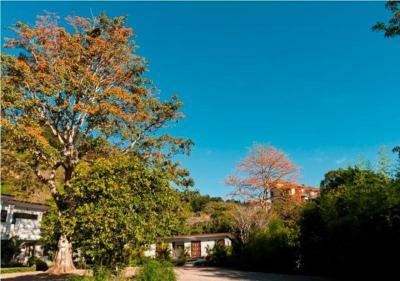 Central Boquete is a 10 minutes walk away. 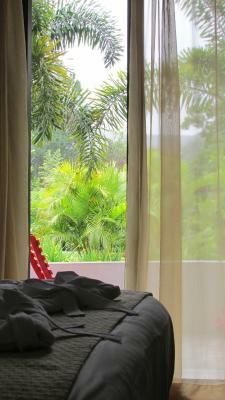 The elegant rooms include luxury beds, quality fittings, cotton linen, terraces and a/c’s in all but one. They also have a mini-bar, tea and coffee-making facilities. 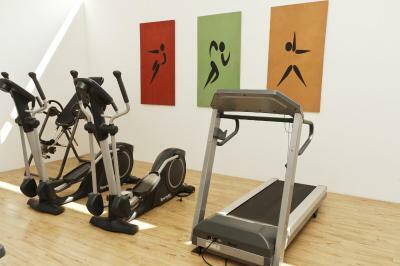 All hotel guests enjoy access to the hotel’s facilities, which are included in the room rate. Baru Volcano National Park is about 14 mi from the hotel. Enrique Malek International‎ Airport is 29 mi away. When would you like to stay at The Haven and Spa - Adults Only? This modern room features air conditioning, free WiFi, a 32-inch flat-screen TV and a DVD player, as well as a mini-bar, microwave, and a coffee-tea maker. The queen bed has a pillow top mattress and Egyptian cotton sheets. The private bathroom includes a hairdryer. This modern room features free Wi-Fi, 32 inch flat-screen TV, DVD player, safe deposit box, air-conditioner, ceiling fan, hairdryer, mini-bar plus tea and coffee making facilities. The king bed has a quality pillow top mattress & cotton sheets. Spacious bathroom with 2 sinks, use of bathrobe. Private terrace located alongside a small river. Includes a light breakfast. 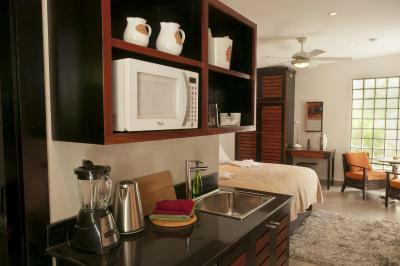 This modern room features free WiFi, 50-inch flat-screen TV, DVD player, safe, hairdryer, ceiling fan & air-conditioner. The king bed has a quality pillow top mattress & cotton sheets. The suite also has microwave, blender, kettle for tea, coffee machine and midi fridge. Large bathroom has separate shower and bathtub with 2 sinks and bathrobe. It includes a light breakfast and a private garden. This modern room features air conditioning, free Wi-FI, 32-inch flat-screen TV, DVD player, safe deposit box, hairdryer, ceiling fan, air-conditioning, tea & coffee making facilities. Twin beds have quality pillow top mattresses & cotton sheets. Use of bathrobe. 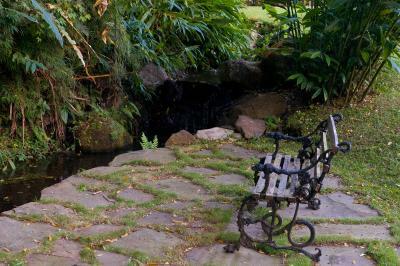 Private garden terrace. Includes a light breakfast. This queen room features free WiFi, a 32-inch flat-screen TV & DVD player, safe, hairdryer, ceiling fan. It also has a microwave, kettle, French coffee press and a midi fridge. 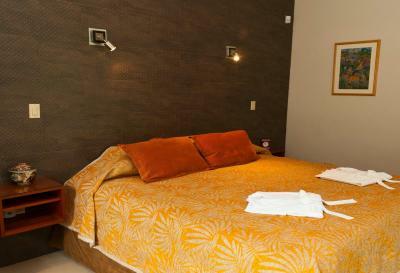 A queen bed with a quality pillow top mattress and cotton sheets, and a private bathroom with bathrobes. It includes a light breakfast. Please note the queen room does not have a terrace or air conditioning. 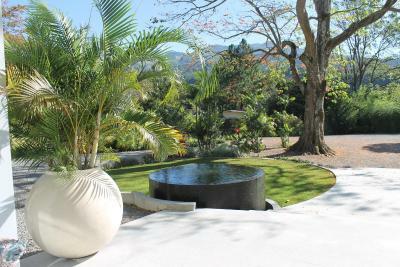 The Haven is a calm and tranquility place, only 1km from central Boquete where you can find several restaurants. Set in a lush garden, forest backdrop, with birds, squirrels, sometimes sloths. 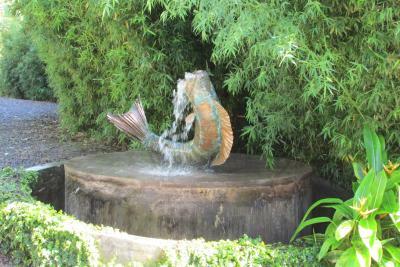 A stream meanders through the property, water features throughout the garden. 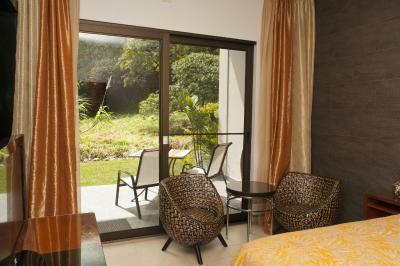 Quality and comfort are the essence of our rooms. 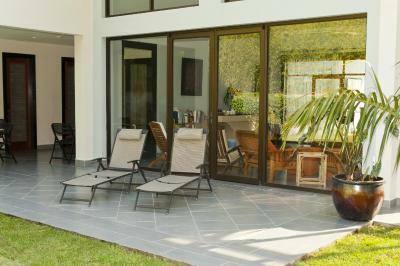 Air-conditioning, private terraces with table & chairs. 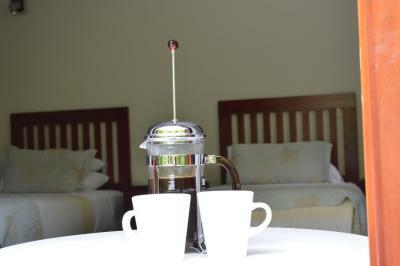 All rooms have tea and coffee making facilities, small fridge, three rooms have kitchenettes with microwave. Flat scene TV, free WiFi, DVD player, hairdryer, use of robe. Beds with luxury pillow top mattresses. 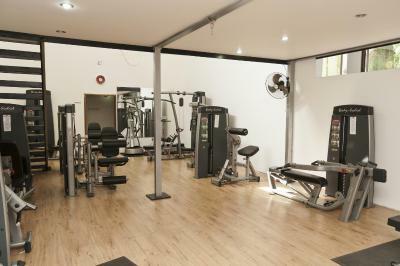 Free use of exercise pool, 20 station gym, infrared-sauna, steam or Jacuzzi. Spa treatments, well trained therapists. 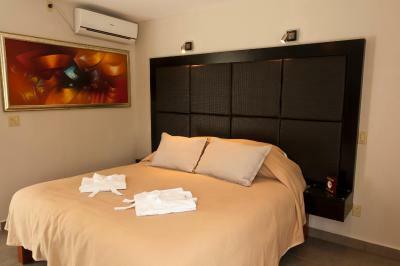 We offer a combination of comfort, quiet, facilities, and value. House Rules The Haven and Spa - Adults Only takes special requests – add in the next step! 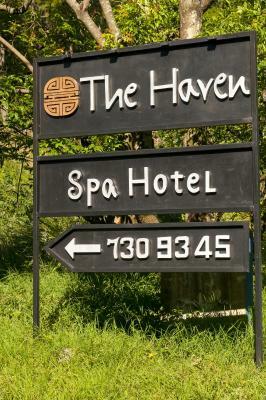 The Haven and Spa - Adults Only accepts these cards and reserves the right to temporarily hold an amount prior to arrival. Please note that a light breakfast is offered. 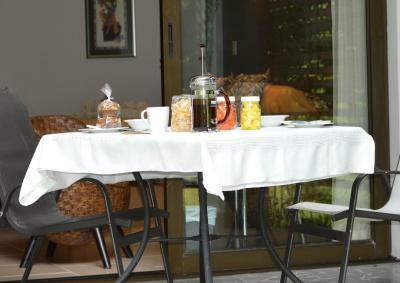 This breakfast is self-service in the room, and includes fruit, yogurt, toasted sandwiches, cereal, milk, coffee and tea. The property does not have a restaurant available. Property is Adults Only. 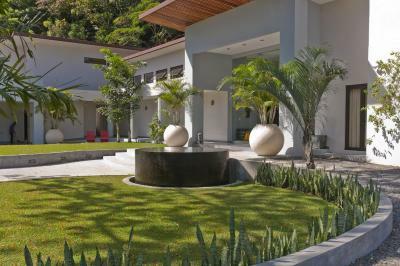 Please inform The Haven and Spa - Adults Only of your expected arrival time in advance. You can use the Special Requests box when booking, or contact the property directly using the contact details in your confirmation. A restaurant at your site will help for those that want stay in. If the hotel had it's own restaurant it would be excellent and you wouldn't want to leave it all. I assume that the small number of rooms does not justify a restaurant. As said, we didn't mind the short walk to the restaurants. The beds could have been more comfortable. The driveway near the road could use a little fill. The pool area is small. Beautiful hotel and staff are wonderful. Quiet and tranquil place to stay. The spa services are expensive. The breakfast is ok but it is the same every day. The staff was friendly, the room was nice and clean, the pool is nice. As a young couple we did feel like they were adressing an elderly type of customer. - front desk staff very good. Their English is good and they are very helpful and accommodating. 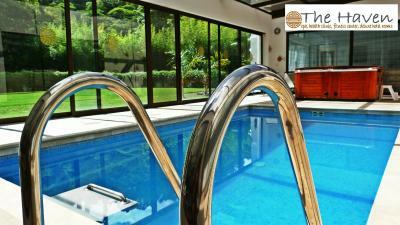 - quiet hotel - room offers enough space - large and clean bathroom - good aircon - the pool and Jacuzzi are inside. The hotel works with time slots, this means the pool is entirely yours without any other guests during your booked slot. Negative side is that it's inside and you're only allowed 40 min per guest so when travelling as a couple max 80 min per day. It was not warm all that often at night in Boquete. But it got warm Everyday by noon and stay that way until the early evening. Our air conditioner was not working and despite multiple attempts to request repair, nothing was ever done so our room was hot from about 11 in the morning until 6 or 7 at night. There is a fan in the room but it was not adequate for comfort. Also they're very hard to communicate with buy phone from a foreign country. They were a little bit better by email. Once you arrive however communication is excellent. Nice location. Beautiful landscaping. Breakfast served to your room daily. Excellent staff. 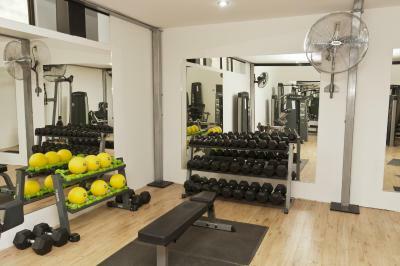 Good facilities. The swimming pool was too small and very cold. 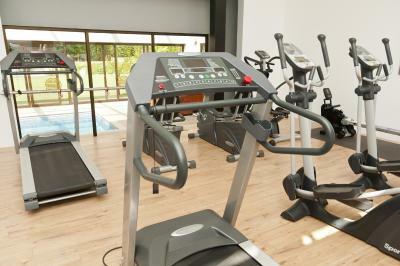 The front desk close at 8:00 pm, and all the common facilities are located in the same building, so yo can not use the gym, the swimming pool or the living room after that hour. There are no restaurant at the hotel, so if you want to eat you have to go to the town.